We’re super excited to share with you this year’s addition to the Globe. Colwyn Bay Pier! 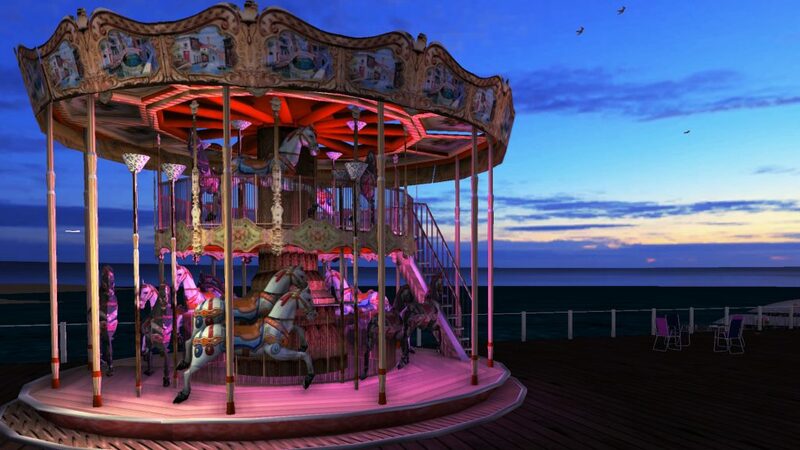 Built by Marilena and owned by Dana Marie the virtual version of Colwyn Bay Pier is an interesting mix between nature elements and old-school sea-side entertainment if you will. You can arrive by boat, bus or car or you know the good old teleport 😉 -recommended since it’s the quickest not to mention safest way if you do want to reach the virtual location and not the real place! 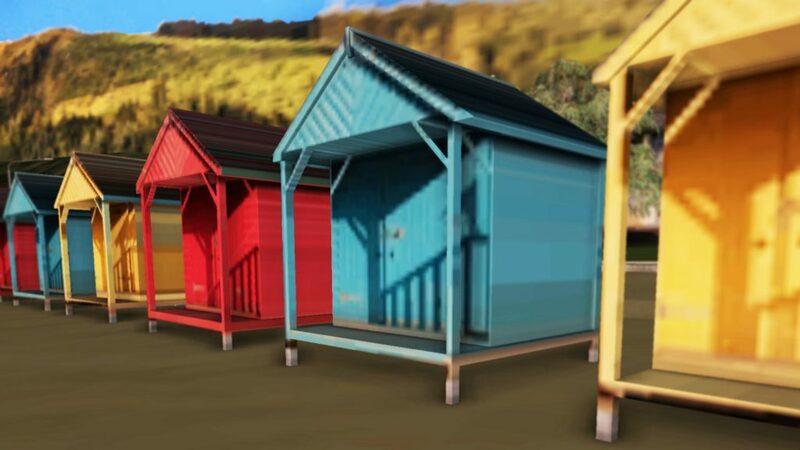 Whether you want to lounge on the beach and just watch the sea and beautiful horizon, have a get-together with your friends online in one of the venues on the pier just near the water, or even just a walk along the houses that line up main street, you’re in for a treat! If you’re one of those that simply love to let out their inner child or at least nostalgic, this place has something for you too. Feast your eyes on the beautiful views, colors and designs, Dana Marie’s Cowlyn Bay Pier will not disappoint! Follow up with Twinity’s Event Calendar to catch the next party happening here and of course, don’t forget to sign the guestbook, let everyone know what you think of this place!! Give us a shout-out on Facebook and let us know what you thought of the place or just post a picture of your own!! 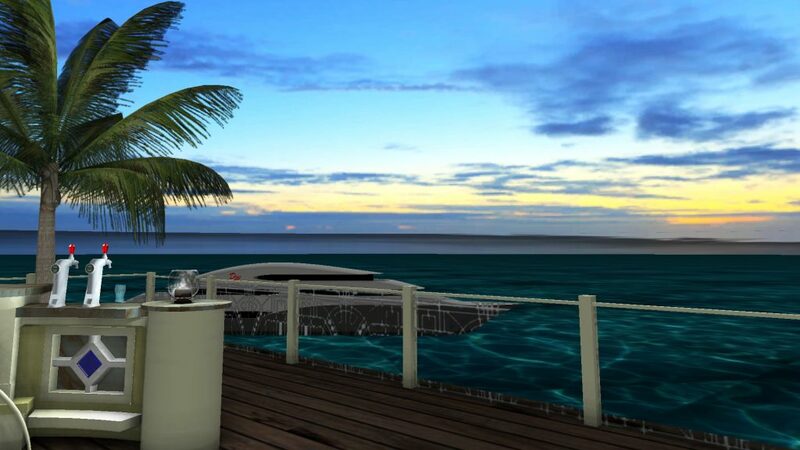 If you’re not a Twinizen yet get your free virtual world account and avatar HERE !! !